The week 22 of the English Premier League brought with it some intense action as Chelsea extended their lead on the top by 5 points after they defeated Swansea comfortably by 5-0 and Manchester City also lost to Arsenal, as Arsene Wenger’s side avenged their last season humiliation at the Etihad Stadium by defeating City 2-0 at home. Liverpool, Southampton, Tottenham Spurs and Manchester United also won their respective fixtures and maintained their hopes for the Champions League spot. Let us look at the players who made it into Sportzwiki’s Team of the Week 22 of EPL. David de Gea once again emerged as the best player of United as they comfortably defeated QPR by 2-0. He made some marvellous saves; de Gea not only managed to keep away a wonderful strike of Austin comfortably but was also quick to stop a close range shot in the injury time. Manager Louis Van Gaal also praised about the performance of Spaniard who according to rumours can be leaving Old Trafford. Once again Ivanovic showed sublime performance against a struggling Swansea, he impressed not only in the defence but his exemplary skills to go forward when required helped the Blues, as it was his assist from which Schurrle scored. 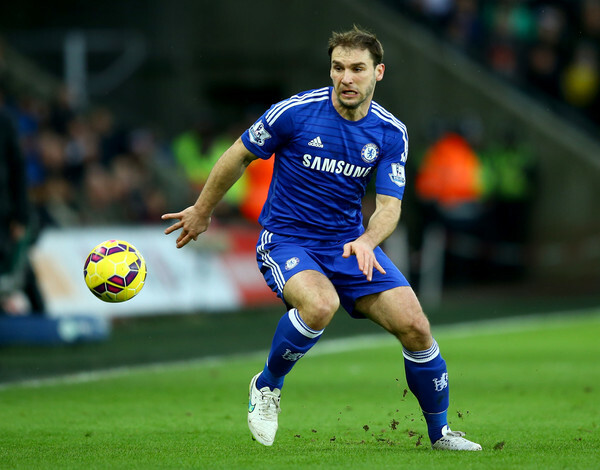 The Serbian was back to his best performance and it helped Jose Mourinho’s side to maintain their impressive record. Monreal has been defamed for his opposing capacities while at Arsenal for his absence of physicality and loss of focus now and again yet on Sunday he was enduring before City and helped the Gunners to win the penalty that gave them the lead. He marked Navas well all through the match and his raids into City’s half helped Arsenal as Kompany’s foolish block on him gained a penalty which put Arsene Wenger’s side ahead. Koscielny is one of the most dependable members of Arsenal’s defence and he managed to stop Manchester City attack as he comfortably shackled Agüero, Navas and David Silva on Sunday. The French international has just recently returned from injury and was surely outstanding in his position against City. Jose Fonte was also involved in several crucial tackles as he hold the back against Magpies easily, which helped Southampton to play out from the back in a not so easy win at St James Park by 2-1. Coquelin showed a terrific performance in the heart of the Arsenal midfield on Sunday as he made his 26th start for the Gunners since he joined them in 2008. He showed a calm and cool exhibition as he controlled the ball and didn’t give much of the chance to Manchester City’s David Silva. The French international can be given some more starts by Arsene Wenger as Wilshere and Arteta are side-lined due to injuries. The Brazilian has shown consistent form in the current season and has been a key player in the so far success of the Blues who are 5 points ahead of second seeded City. Oscar increased his goal tally to six as he scored two goals against Swansea in Saturday’s fixture; his 25 yards clinical finish helped the Blues to take the lead ahead and laid grounds as Chelsea defeated Swansea by 5-0. Cazorla’s performance against Manchester City was undoubtedly the best of his this season. The Spaniard won the PFA Fans Player of the Month award and his impressive play against Stoke and City this year can make him win the January award too. Though the Gunners only had 35 per cent possession at Etihad Stadium, Santi was literally fascinating in his exhibitions. He scored flawlessly from the penalty and also assisted in the second as he helped Giroud to score the second and defeat City at home. Bojan has turned out to be the best signing for Mark Hughes, since whenever he has scored Stoke have won and the same happened on Saturday. Bought from Barcelona in the beginning of the season in £ 1.8 million, he has turned out to be much more worthy for Stoke. He was incredible throughout the game and managed to score the only winning goal for the Potter’s. 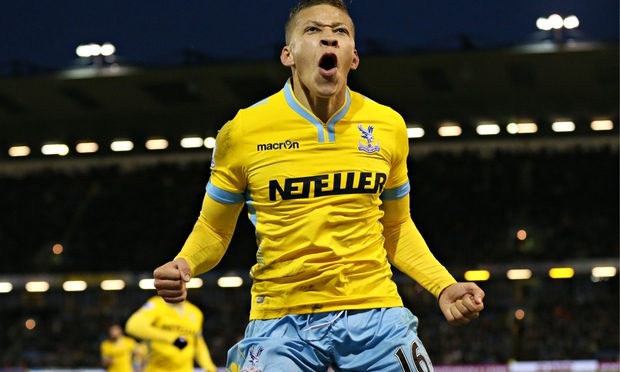 Gayle moved the attack brilliantly ahead and consistently managed to find solid space on Saturday against Burnley. He helped the Eagles to comeback in the game after he scored two goals which includes the winning goal and also assisted in one. With this he has managed to score ten goals so far in all competitions. Costa retained his early season form on Saturday as he scored two goals and assisted in another. He was a predator hunting for goals and came almost close to score a hat trick against Swansea. Diego has now scored 17 goals so far and has re-entered in the race to win the Premier League Golden Boot.